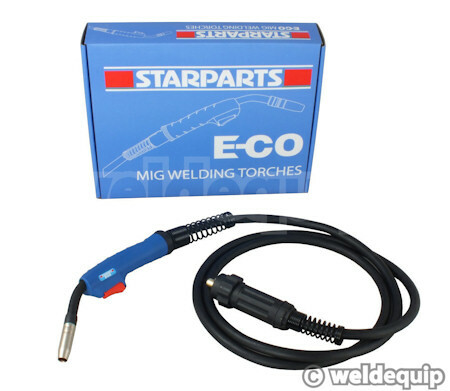 Good value MIG Torches suitable for connection to any machine fitted with a Euro-Socket. Rated up to 180 amps this is the torch size of choice for automotive and general light duty welding tasks. 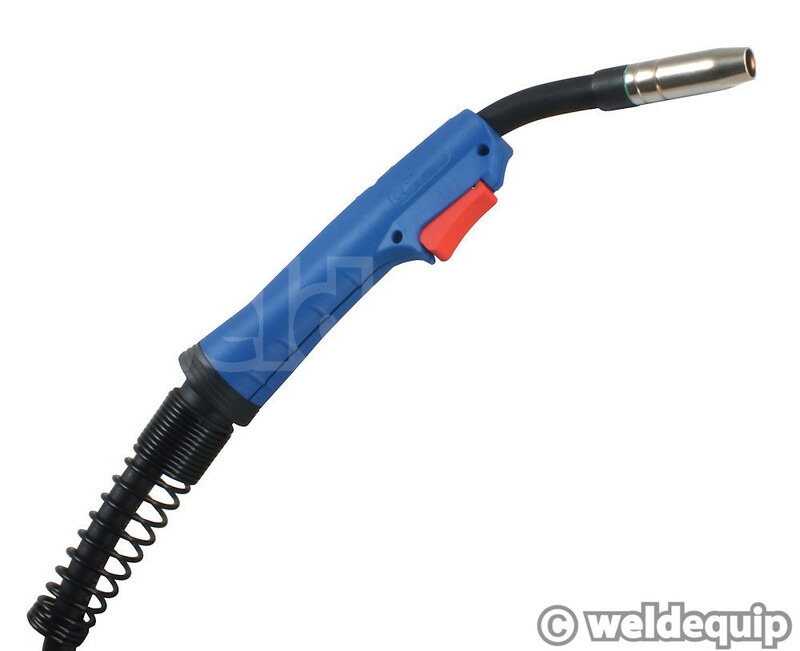 The cable assembly on these torches is more flexible than other economy torches we have tried, fitted with spring supports at both ends to prevent cable strain. Torch Handle itself is nice & compact for tighter access jobs with a ball joint to the cable assembly for improved cable flexibility. 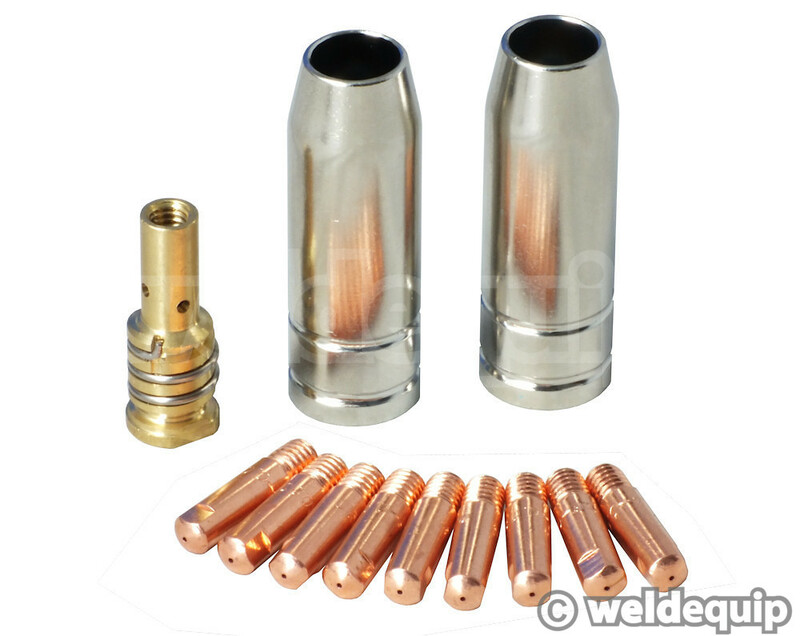 Fully interchangeable parts with other Binzel® style Type 15 Euro-Torches. NOTE: If you are running the smallest diameter 0.6mm wire we would recommend using the standard 3 metre length torch.